A Treasury of Albert Schweitzer is 2.99 on March 24th! 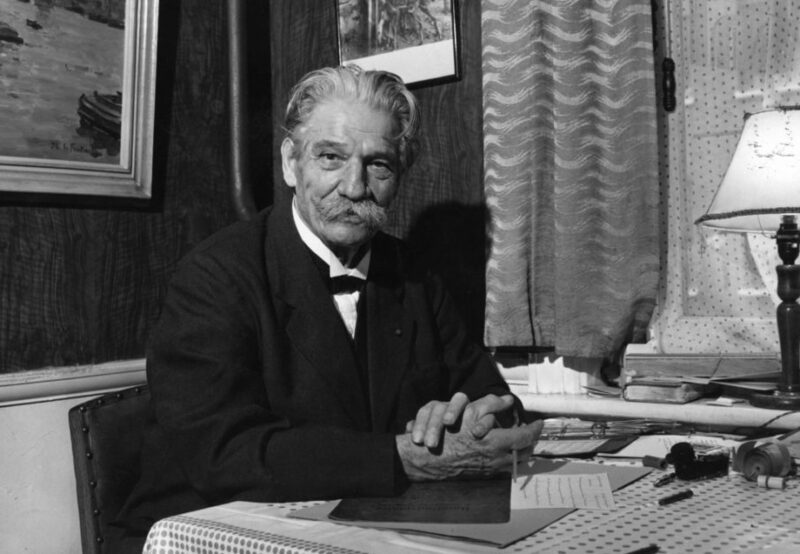 Albert Schweitzer (January 14, 1875-September 4, 1965) was born into an Alsatian family which for generations had been devoted to religion, music, and education. His father and maternal grandfather were ministers; both of his grandfathers were talented organists; many of his relatives were persons of scholarly attainments. Schweitzer entered into his intensive theological studies in 1893 at the University of Strasbourg where he obtained a doctorate in philosophy in 1899, with a dissertation on the religious philosophy of Kant, and received his licentiate in theology in 1900. He began preaching at St. Nicholas Church in Strasbourg in 1899; he served in various high ranking administrative posts from 1901 to 1912 in the Theological College of St.Thomas, the college he had attended at the University of Strasbourg. In 1906 he published The Quest of the Historical Jesus, a book on which much of his fame as a theological scholar rests. Meanwhile he continued with a distinguished musical career initiated at an early age with piano and organ lessons. Only nine when he first performed in his father’s church, he was, from his young manhood to his middle eighties, recognized as a concert organist, internationally known. From his professional engagements he earned funds for his education, particularly his later medical schooling, and for his African hospital. Musicologist as well as performer, Schweitzer wrote a biography of Bach in 1905 in French, published a book on organ building and playing in 1906, and rewrote the Bach book in German in 1908. A Treasury of Albert Schweitzer, An anthology of the philosophical writings by one of the finest humanitarians and thinkers of the twentieth century includes essays on nature, the mystery of life, the will to live, respect for life, and the work of such artists as Bach and Goethe, is on sale March 24th on Early Bird Books. Missed the sale? Click here to purchase a copy of this book for yourself!